With its 2.20 billion monthly active users, Facebook is a powerful marketing and communication lever that companies can use to make themselves known and prosper. 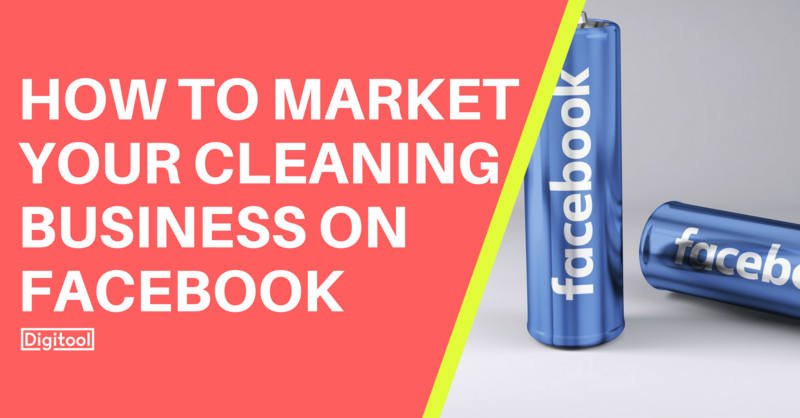 By the end of this article, you will have all the tools to market your cleaning business on Facebook. 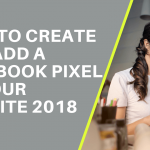 The first step in promoting your business on facebook is to create a page. Similar to the Facebook profile, the page is a reflection of your business. The design of your Facebook page is important, it must be in line with the image of your company. Use your business logo as the primary photo for your Page, and choose a cover that is attractive and showing what your business does. As important as your cover image, the profile picture appears in your subscribers’ news feed,it must be easily recognizable.Also,these two elements must give the Internet users a good first impression of your company. Publish regularly and be sure to be present in the minds of your customers. Try to meet the expectations of your community by offering some news, new services, tips. Also by varying your content: questions, articles, and most importantly videos. 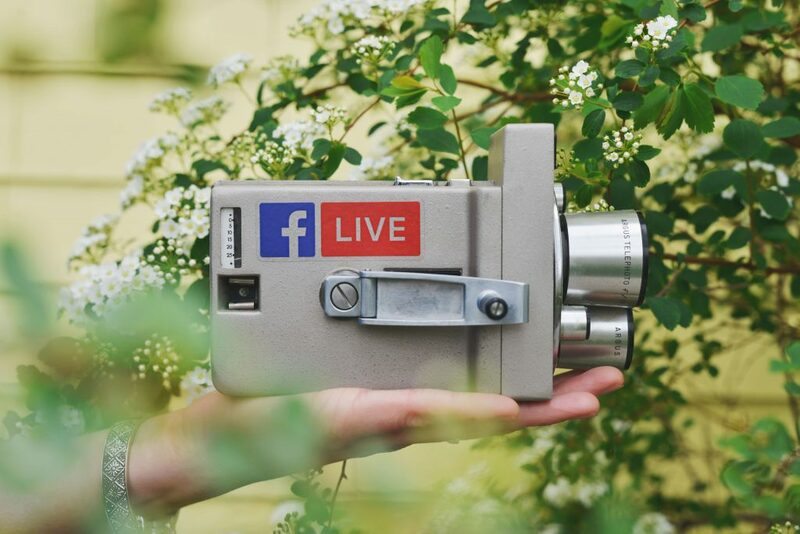 According to research, videos now lead in terms of organic reach, a Facebook Executive estimated that the social network will be all video in less than five years. HOW TO OPTIMIZE YOUR FACEBOOK PAGE ? According to a recent study by Globalwebindex, 1/3 of users visit corporate Facebook pages. All age groups are represented on Facebook. This implies that your customers are likely to be on Facebook. This is the reason why you should optimize your page, here’s some tips to help you. Your visitors want to know all the details about your business: where are your offices, what services do you offer, your schedules and so on. Provide them with all the information they do not need. The “About” section is ideal for putting your values or your benefits. Your description must be short and relevant to appear in a good place in search engines, both on computer and mobile. 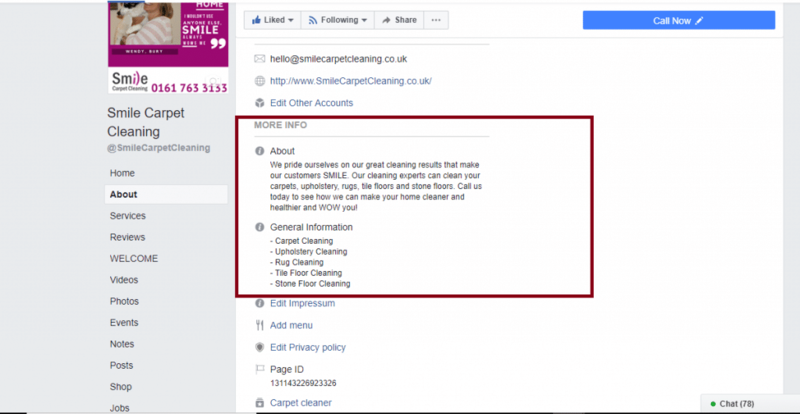 For example, if you are working in the carpet cleaning industry, in the “about” section, you need to explain that your cleaning carpets but you also have to highlight your assets. You can explain that your are working with experts or that you are using healthy and effective products, in that case don’t forget to list them. 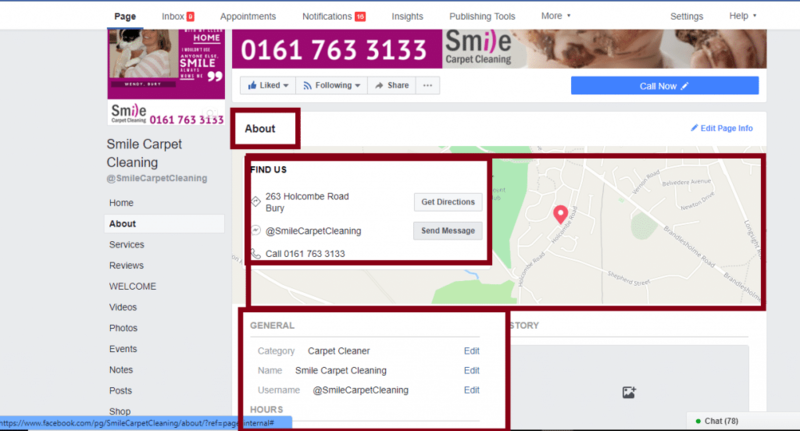 This will help you be among the first results on Facebook, if someone is looking for a carpet cleaner. Place your targeted keywords in the most important parts of your page. Include them in the URLs, the page title and the “about” section to be visible on the homepage and on the search engines. As said before, it is important to have quality content. Also, when you post content or an image on Facebook, take advantage of being able to add a description. The first 18 characters of any Facebook post help you get more exposure online. Make sure to answer all of your comments as quickly as possible, you will be reliable and efficient in your followers eyes. Suggest content likely to be shared like cleaning tips. A 30 sec video showing cleaning task can go viral on facebook. Use the annual event like easter, christmas, valentine’s to get closer to your community. You can post pictures of your team at those events for example. Don’t feel pressured to post content solely related to your business or cleaning. Feel free to check out your competition, to see what is liked by your target and what you can do to improve your content. Facebook is constantly introducing new tools that make it easier to manage your business and build your online strategy. In order to keep your pro page optimized, keep an eye on the latest features for use as they become available. As for example the call to action button which is suitable to “contact us”, “book now”, “buy”, “look at the video”, or Facebook live. 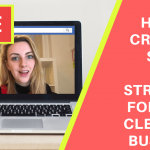 Broadcasting live videos on Facebook has become a must for businesses because it boosts your visibility on the web in one click. Easy to create and share, Live streaming makes it possible to create a much more intimate relationship with your community. For example if you have a house cleaning business, you can go live to show how you clean carpeted stairs. You will be able to show your products, your technics and respond instantaneously to questions. You can promote your professional web page by creating advertisements from your page that allows you to better know your business and increase your visibility. Sticking to a non-paying publishing strategy will limit the results, with Facebook ads, you can reach potential customers by targeting them by age, location or affinity. The number of likes is not important. The number of interactions on your page is the statistic that matters most. Stay in touch with your subscribers, ask them questions. Publish quality content that will not only get you likes, but also share. Use Facebook Groups To Engage With Your Target Market. Facebook groups bring together people who share a common interest. When you join a group of people who match your target audience, you have many opportunities to improve your own and your company’s knowledge by being helpful.To find his groups, simply type a keyword or a subject in the search field of the menu on the right of the group page. Last but not least, get your posts seen by more of your subscribers. Unfortunately, a common complaint among page owners is that many of their fans don’t actually see their posts. To have more chances of making it into your followers’ feeds, regularly consult your page Insights to see what types of content are resonating with your audience.